Drafting, planning and implementing an exhibition area of approx. 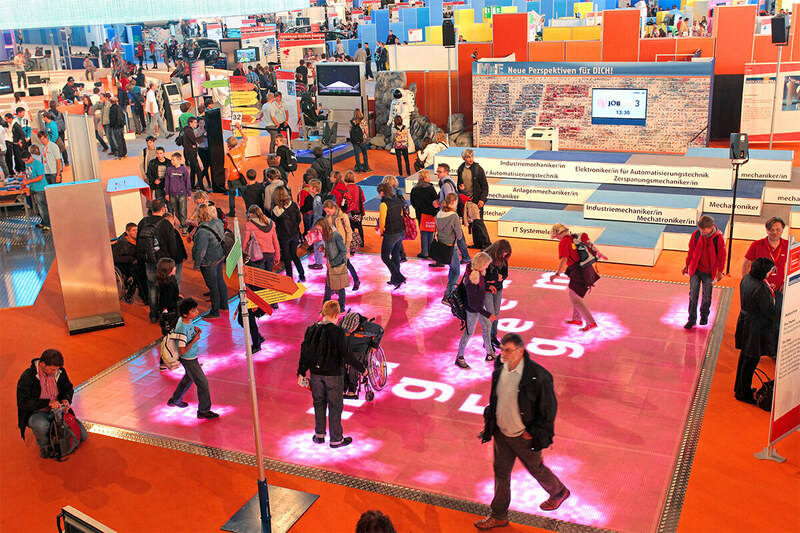 600 m2 for a nine-day exhibition on the Hanover fairground. 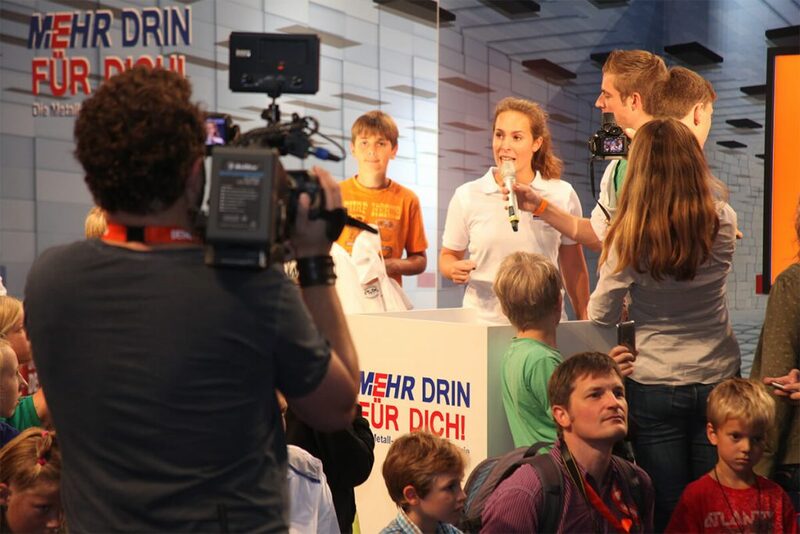 Understandable presentation of the activities of an association in the context of an event for young people. Documentation of possible professional fields within the branch environment of the association. The main aim of the presentation is the portrayal and experience of the diversity of the metal and electronic industry (M+E). 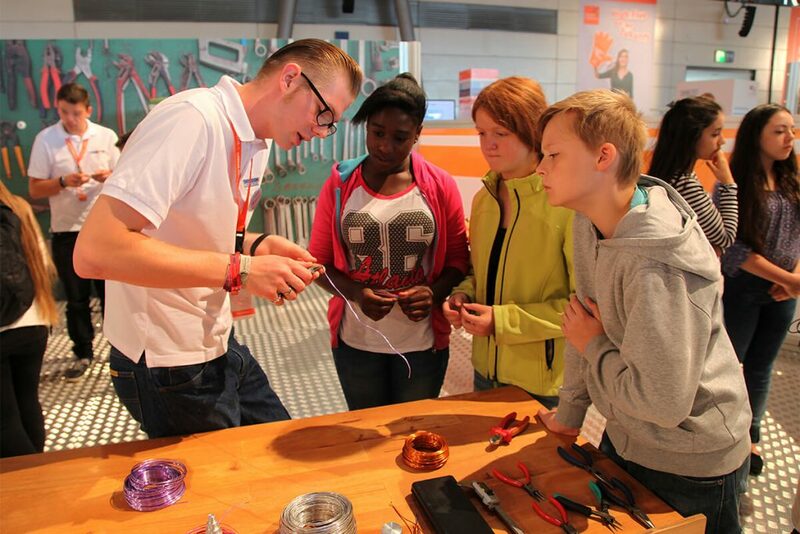 Join in, give it a try and grow familiar with the world of the metal and electronic industry. An attractive mix of information, infotainment and entertainment is supposed to explain the contents in a playful and comprehensible way. This concept is based on a transparent portrayal of relevant topics in a room-in-room system with a clear and intuitive guidance of visitors. 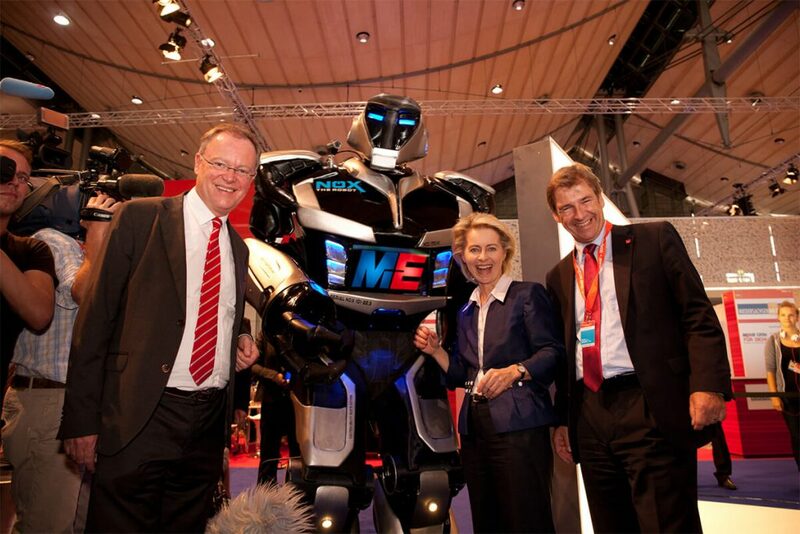 The area is also a flexible platform for presentations by members of the association. The event is part of a compelling brand campaign including a slogan and key visual which is consequently reflected in the concept of the exhibits. 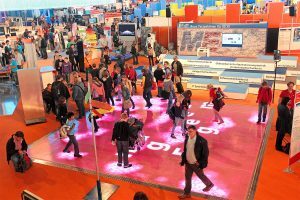 Establishing highlight exhibits which attract a considerable number of visitors and a large audience. 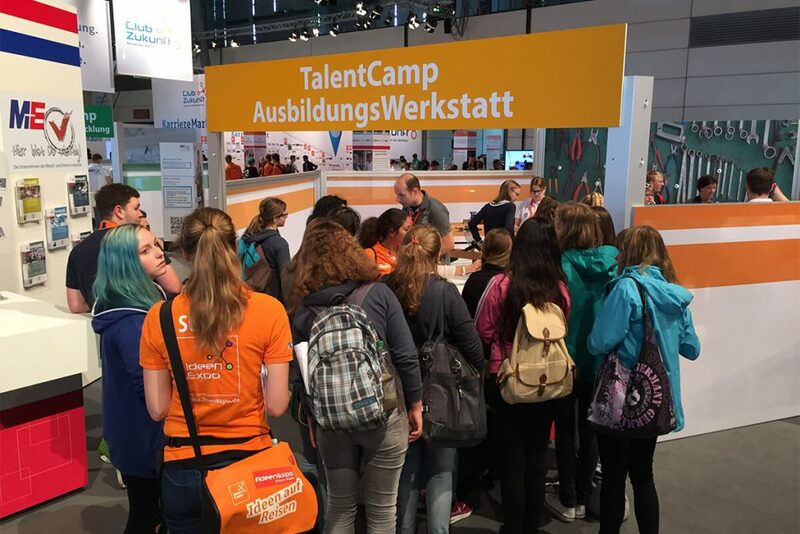 Setting clear divisions between the areas of different exhibitors by the form of so-called TalentCamps. Realising an autonomous show programme including the development of individual edutainment, hosting and producing multimedia contents. Creating authenticity by selecting and controlling the staff by the aid of trainees from companies of the association. 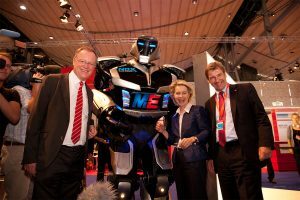 The successful mix of information, infotainment and entertainment made the area of NiedersachsenMetall to one of the major highlights of the entire exhibit. 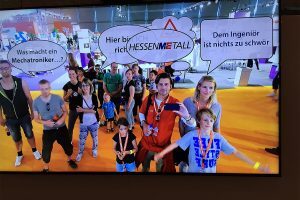 The numerous opportunities to become active at the exhibits thrilled the visitors and resulted in a long visit and in many chances for an intensive exchange with the target audience. 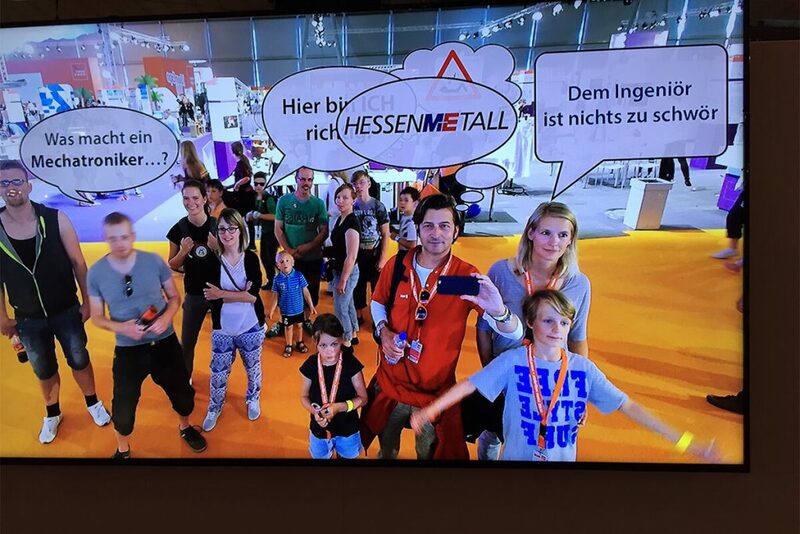 Therefore, NiedersachsenMetall was very satisfied that the event so attractively presented the diversity of the metal and electronic industry (M+E).